"Steve's private jet was offered to him by the Apple board when he officially became the company's CEO, in January 2000. Gulfstream is one of world's top selling luxury Business jet which can seat 14 - 19 people on its luxurious leather seats in very aesthetically designed ambiance. It is powered by Rolls-Royce BR710A1-10 turbofan engine, which can produce 14,750 lbf of thrust. This jet has cruising speed of 656.3 MPH and can travel 5,800 miles at a stretch. 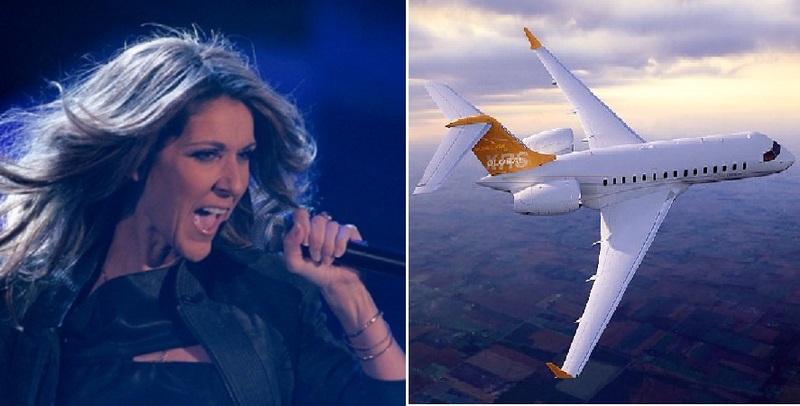 Celine’s choice of her private jet is positively modest; Bombardier Global Express Jet matches her luxury expectations and needs of long distance traveling. 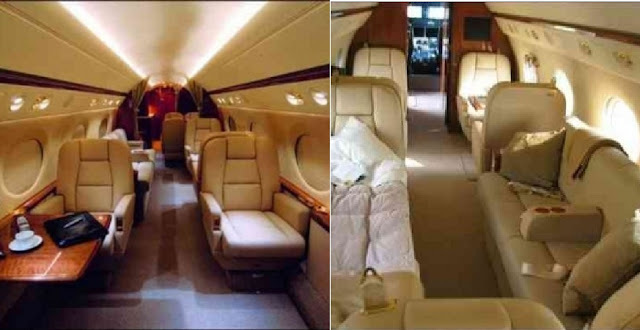 Featured with luxurious cabins and air ambulance requirements, this jet is for celebs who like to fly in style, and riches like Bill Gates and Steven Spielberg owns it too. The plane can seat 10 passengers and can fly 6170 nautical miles at the speed of 564 mph; sufficient enough to cover from one part of the globe to another without refuel. Powered by 2 × Rolls-Royce Deutschland BR710A2-20 turbofans, 14,750 lbf (65.5 kN) each, This plane can cruise at an average speed of 564 mph/ 907 km/h. The plane has a range of 6170 nautical miles which is sufficient to be able to fly from Los Angeles to Kyoto or Amsterdam without the need to refuel. This is a smaller jet in comparison to the Boeing version and can hold anywhere from 8-19 passengers with 2-4 crew members. The Google Jet, as it is popularly known is a Boeing 767-200 is the property of Larry Page and Sergy Brin, the two co-founders of Google. They bought the jet back in September, 2005 for around $ 15 million from Qantas. Originally the jet had a seating capacity for 180, but was modified to seat 50. The google founders are strictly private about their private plane and thus there are not much details available about the interiors of the plane. According to some reports the plane features hammocks hung from the ceiling and possibly a California king size bed for Mr. Brin. Leslie Jennings, who has already done work for Microsoft co-founder Paul Allen has reportedly done the interiors of this plane. The plane has now been retrofitted, and is jetting Google executives all around the world. Recent SEC filing about Facebook's finances have revealed that the Facebook's founder spent around $700,000 for costs related to private jets. 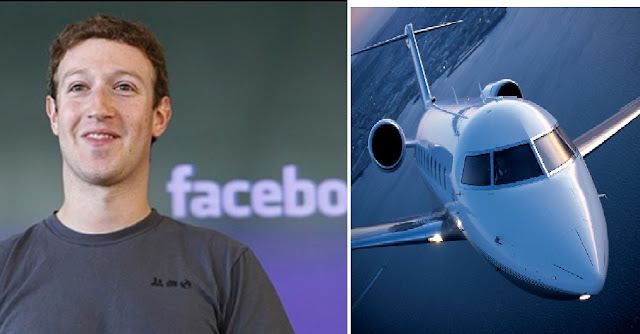 The listing states that "Facebook has authorized its CEO and COO to use private aircraft for business purposes. This practice maximizes such executives’ productive time and ensures their quick availability. In addition, Mr. Zuckerberg may use private aircraft for personal purposes in connection with his comprehensive security program. On certain occasions, Mr. Zuckerberg may be accompanied by family members or others when using private aircraft. For flights involving passengers flying for personal purposes, the aggregate incremental cost of such personal usage is reported as other compensation to Mr. Zuckerberg. " 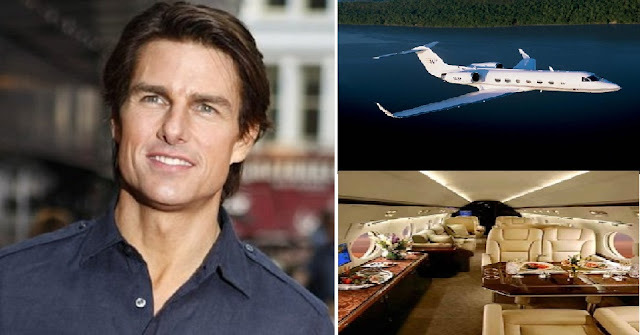 Tom Cruise bought this Gulfstream as a present to his newly-wed spouse Katie Holmes who famously said about the jet, " It is just like a bus, only quicker. " The Gulfstream IV-SP (G-IV) is a high altitude, high speed, twin turbofan jet aircraft acquired by AOC in 1996. The G-IV is currently configured for operational support of the National Hurricane Center synoptic surveillance mission and is expected to provide support for NOAA programs for many years to come. This mission is designed to collect, process and transmit vertical atmospheric soundings in the environment of the hurricane. The principle tool used for this task is the GPS dropwindsonde. 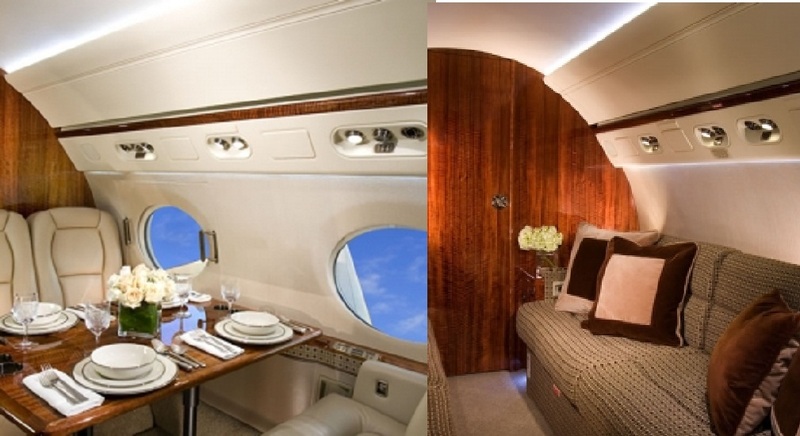 Richard Branson owns the French made, long range, ultra luxe corporate jet Falcon 900EX. 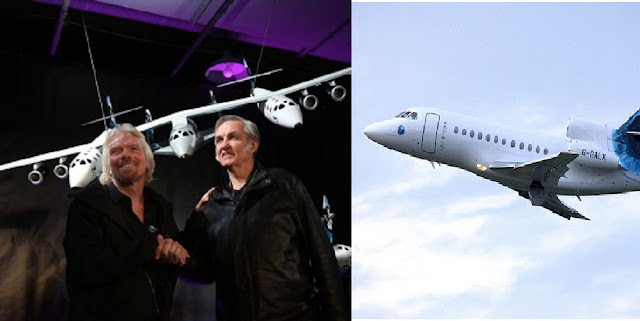 The exterior of the jet make it clear that Branson wants it to be a mobile advertisement of Virgin Galactic, the space travel arm of Richard Branson’s business empire. It has similar tail fin markings, the evolving VG aircraft have been stenciled near the cabin door, while the engine markings are G-GALX. The aircraft itself is named Galactic Girl. This jet has a maximum cruising altitude of 36,000 feet, speed of mach 0.87 (662 mph) and in its factory configuration can seat up to fourteen passengers. 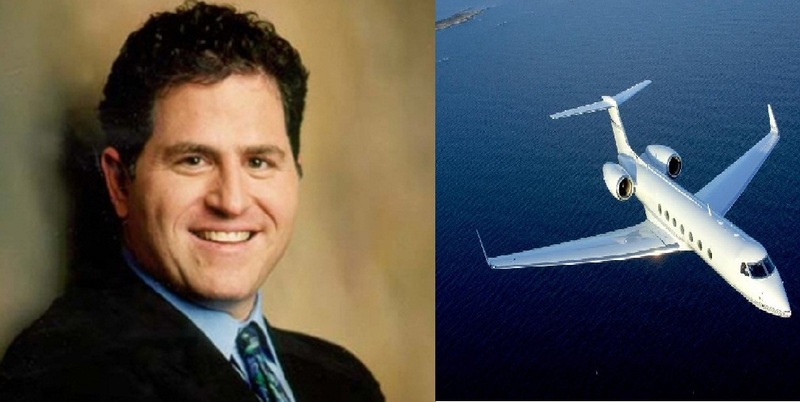 The owner of Dell also owns a luxurious Gulfstream 500 apart from net worth of $14.6 billion. The Gulfstream V was the first contender in the ultra-long-range private jet category. This extremely luxurious jet is capable of flying anywhere in the world: nonstop flights. 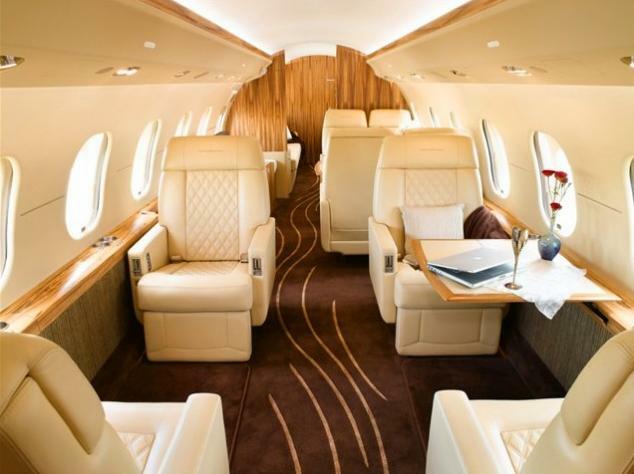 The jet’s cabin usually seats 15 passengers, but can be configured to hold more and can be customized according to the customer’s specifications. Fly on the power of two BMW/Rolls-Royce BR710-48 engines it is one of the most comfortable privet jets in world. Jolie is very passionate about flying and has been seen many times taking flying lessons in her Cirrus SR22. Tiger Woods owns a Gulfstream G550. It is a perfect business jet aircraft. Its unique feature is that it is capable of carrying up to 16 people in standard seating configurations and can fly up to 6,500 nmi (12,000 km). It is the longest range business jet ever made. 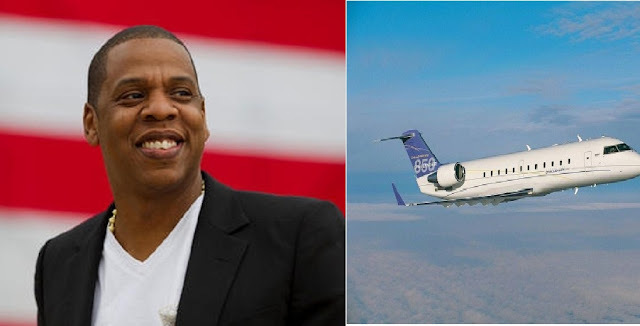 If anyone wants to know how to find reasons for splashing oodles of money on gifts, ask bold Beyonce Knowles as she recently gifted a Bombardier Challenger 850 private jet to her adorable “husband” Jay Z, on the occasion of Father’s day. Though much can’t be said about the reason as it was surely a blissful occasion for the celebrity couple, but it can be said that the songbird reportedly gifted the jet to pay acknowledgment and respect for the role of Jay Z as her daughter’s father. The beautiful looking plane is surely a magnificent and the ultimate Father’s Day gift for the rapper Jay Z, though it came from her wife, anyways it can be expected that his daughter Blue Ivy also gifts something as lavish as this plane to him when she grows up and becomes a celebrity some day. The $40 million personal jet has a seating capacity for up to fifteen passengers and features a flash interior scheme boasting a cream leather living room, two bathrooms and a kitchen. 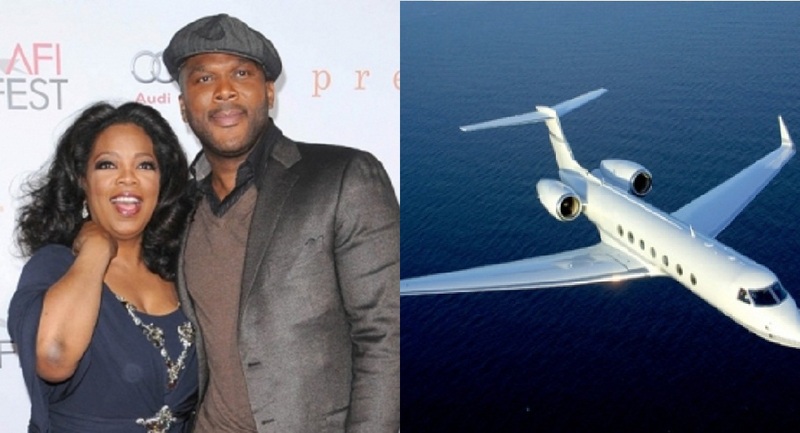 Tyler Perry owns a Gulfstream III. It is well equipped with the luxury features such as a 42-inch HD LCD screen, multiple Blu-ray players, satellite TV, theater lighting, and electronically controlled window shades. It also includes the iPod docking stations for music, ports for computer video, and additional 20-inch and 10.2-inch personal HD screens. 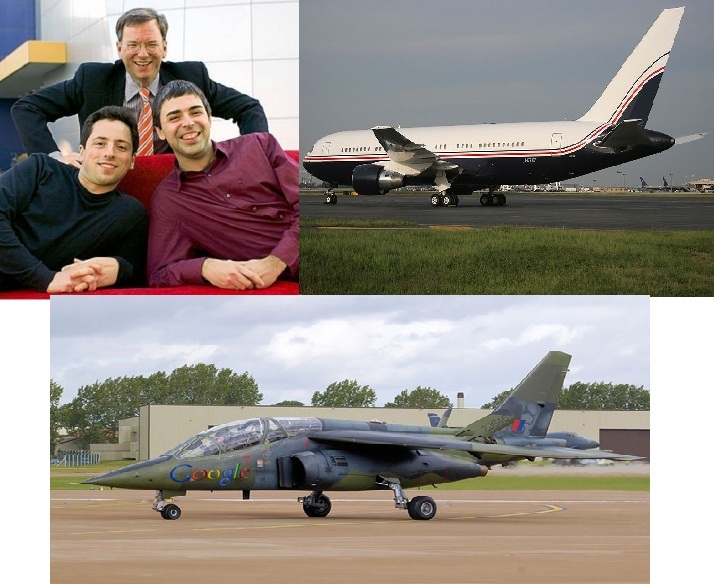 1- Sergey Brin's possessions includes a Dornier Alpha fighter Jet. Its attributes make it appear as a light attack jet and advanced trainer aircraft. This super jet is designed by Germany’s Dornier and France’s Dassault-Breguet. It boats a wingspan of 29 feet 11 inches and stands at 13 ft 9 inches tall at the end. It is well equipped with various scientific instruments that can actually contribute in providing atmospheric data. 2- Sergey Brin also owns a Google jet 767-200. This jet is a twin-engine, short- to medium-range jetliner. This powerful jet has a maximum range of 3,100 to 4,100 nautical miles.